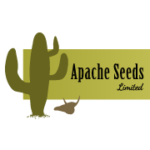 Address: 10136 – 149th St.
Apache Seeds is a Garden Centre in Edmonton, AB. We offer a variety of seed, tools, plants, pots, soils, decor, and bird feeders. We are open all year.